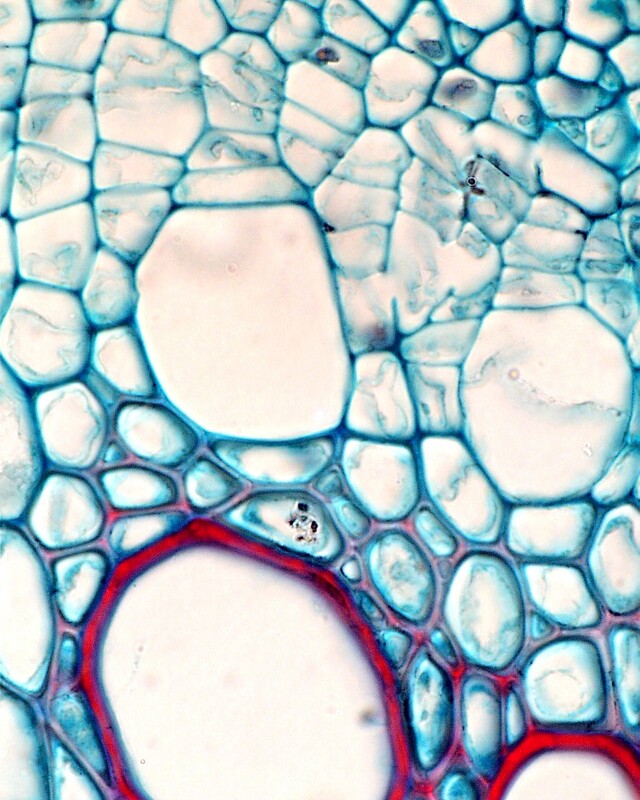 This image shows part of a the differentiated and undifferentiated secondary xylem in a Bidens stem. Notice the large xylem vessel next to the cambium, which, at this stage, lacks secondary wall development (it therefore also lacks lignin at this stage). The smaller tracheary elements (tracheids mostly) show stages of lignification of their secondary walls. Not how the lignin is being deposited mostly in the corners for these cells first.